Exceed client expectations with production speeds ideal for handling urgent jobs. 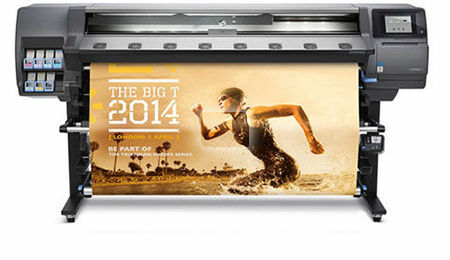 The HP Latex 360 Printer produces indoor and outdoor prints on a variety of traditional signage substrates—even textiles1. And high-quality, durable prints provide scratch resistance comparable to hard-solvent inks2. HP Services offer you a broad portfolio of proven support programs to help keep your business running productively including HP Care Pack Services, preventive maintenance kits, and HP Support Programs.